Hotel Maruthi Residency is a comfortable place to stay for travellers. With various basic amenities and lively neighborhood, guests are sure to enjoy a pleasant stay here. 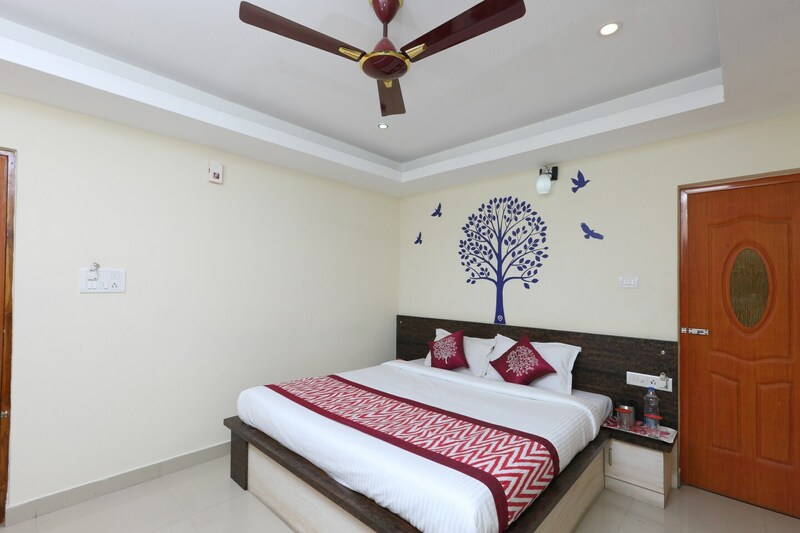 The homely rooms with wooden decor and modern furnishing are spacious, elegant and comfortable. Maruthi Residency sure delivers a convenient experience. The rooms are unique and consist of different wall finishings with a creative touch. The guests can avail the facility of free wifi to catch up on work. Other facilities include parking space, card payment and elevator for convenience of the guests. Key attractions of Chennai near the hotel are Sri Swaminatha Swamy Temple, Krishnar Temple, and Sri Utthara Guruvayoorappan Temple.